Since its invention in 1888 oyster flavoured sauce has become a base ingredient for many Chinese dishes. Made from selected oyster extracts, this Panda Brand Oyster Flavoured Sauce has a robust flavour and a rich colour which makes it an ideal all-purpose sauce for marinating or stir-frying. 1. Take the tofu pieces and one by one, coat them with a bit of cornstarch. 2. Heat oil in a deep-frying pan and deep fry the tofu pcs. Drain and set aside. 3. Heat 1 tbsp of oil in a wok over medium heat. Fry chopped garlic until golden brown. Mix oyster sauce with 1 tbsp water. Add to wok. 4. 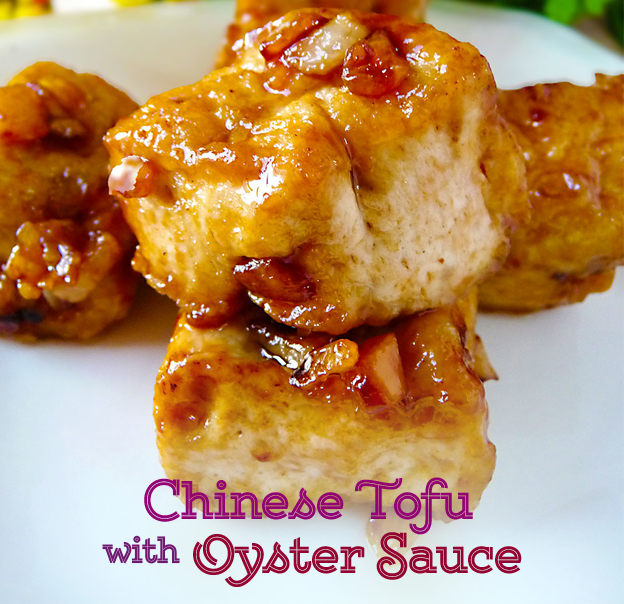 Add the fried tofu pcs and mix to coat the tofu with the oyster sauce. Enjoy!